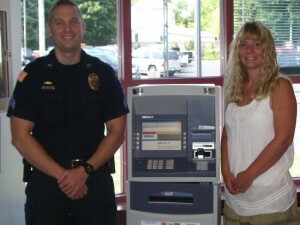 OSWEGO, NY – On Tuesday the Oswego County Federal Credit Union donated an ATM to the Oswego City Police Department. Pictured are Sgt. Craig Bateman and Amy Hoey, branch manager. All costs associated with the purchase and operation of the ATM is being incurred by OCFCU. 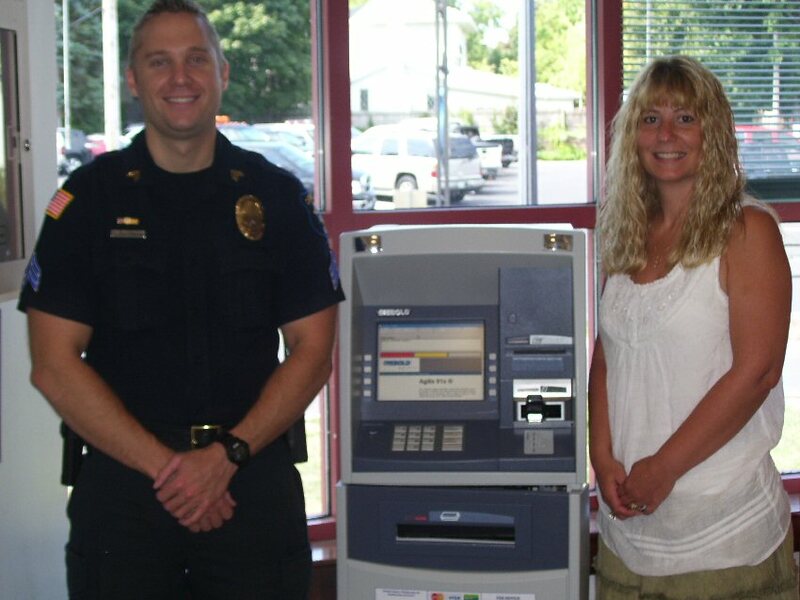 In an effort to provide the citizens of the community with a safe location to withdraw money, the ATM is located in the lobby of the police department which is accessible 24 hours a day. There is no surcharge for use of the ATM by members of OCFCU, Empower Federal Credit Union, or Compass Credit Union. All others will be charged a $2 fee.